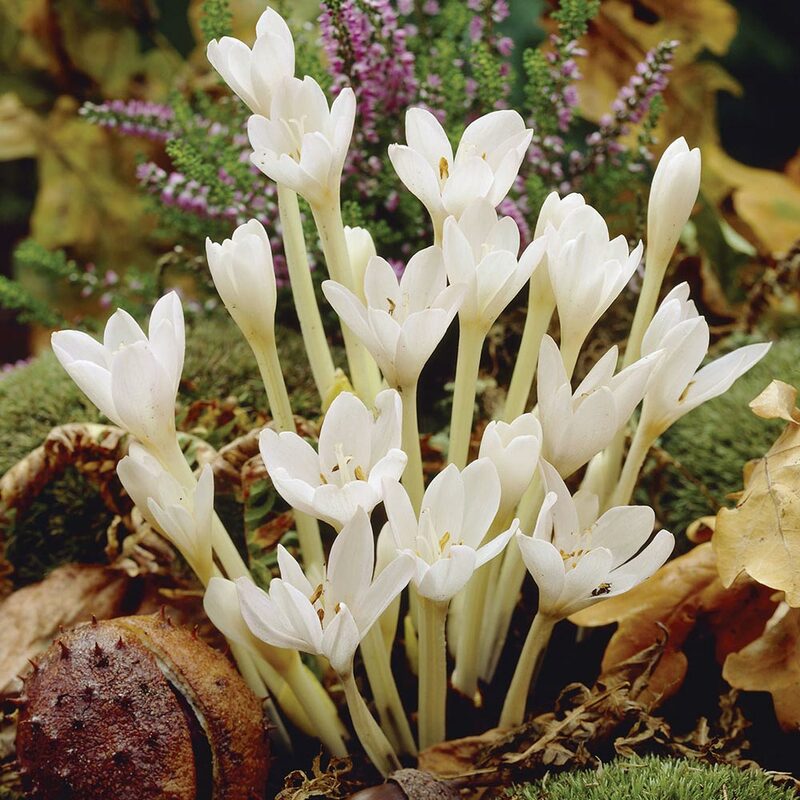 Increasing popular for their ability to naturalise well when left undisturbed each bulb in this Mediterranean collection produces up to 30 beautiful flowers from late September to November. 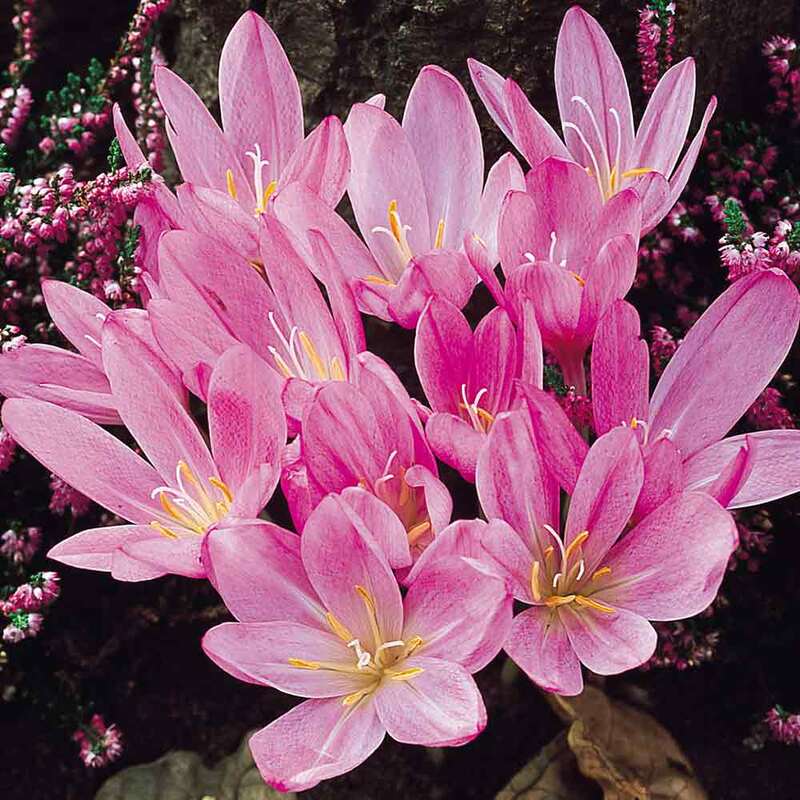 They are an excellent choice for rockeries or for borders, and can even be grown on a windowsill without soil. The collection is 3 each of Lilac Wonder 18cm+ bulbs (lilac-rose), Waterlily 14cm+ bulbs (double pink) and Autumnale Alba 13cm+ bulbs (white). Height 10-15cm. These Autumn flowering bulbs may be in flower on arrival as illustrated. Plant outdoors in October - November ready for next year's flowers. 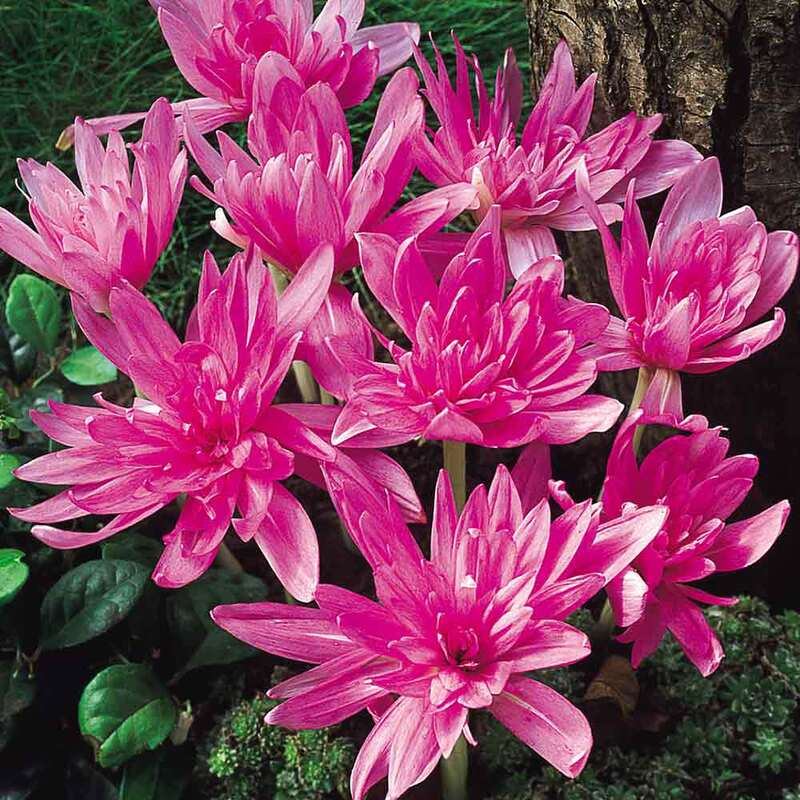 Can be planted in Autumn at approx 8-10cm deep, preferably in well drained, light soil. 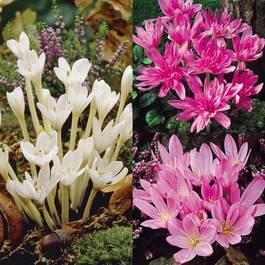 They are best suited to sunny locations or areas with light shade, and can be planted in groups so they can naturalise.